Rolling Stones Hostel i Irkutsk, Russland: Bestill nå! 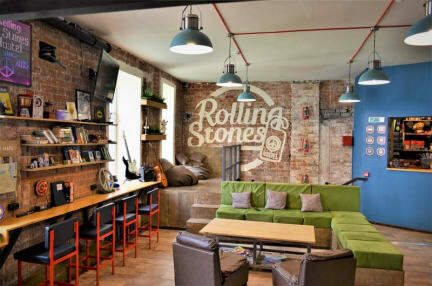 Rolling Stones hostel is always full of friendliness and coziness. You will get a feeling like you stay home – everyone is so friendly and really glad to help! You will definitely feel comfortable here, chill out after a long trip, sitting in the lounge zone or drinking coffee on the terrace; you can easy find here new crazy friends who will follow you till the end of your trip (yes, it’s true!) or you can just get rest in the private space and do some job, if you going to come to do your business. Rolling Stones hostel is located 20 meters away from one of the main streets of Irkutsk city - Karl Marks st. Building was made of old-styled brick which is over then 120 years old. Within walking distance of the important sights - monuments, museums, churches, squares and 130-district. Also - lots of bars, cafes and restaurants for breakfast / lunch and for unforgettable night partying. Choosing Rolling stones hostel you can book a private room of the dorm one (capsule room). There is a full-equipped kitchen and laundry service (washer, dryer). Bag storage, bicycle renting. We do not accept customers younger than 6 years of age. When you register at the hostel, the Customer have to provide the document proving the identity. The Client must to observe the rules of the hostel and to ensure that the Client's Guests spent time in the hostel reasonably and responsibly, should not commit actions that in any way may interfere with other visitors at the hostel. Guests must follow the rules, other way they will be asked to leave the Hostel. The Customer shall be liable for any loss or damage caused to the hostel personally or Guests of the Client. 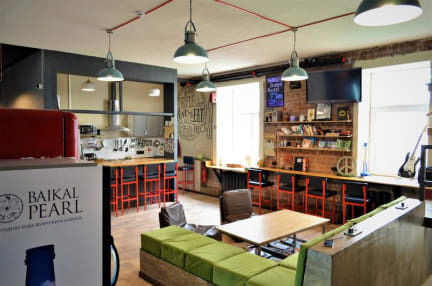 Guest will be responsible for the reasonable costs of repair, cleaning or replacement of any property of the Rolling Stones hostel, which is damaged, contaminated or lost by the guest. In the hostel are not allowed Pets except guide dogs.